The last news about Youth Without Youth, the last movie by Francis Ford Coppola. Watch the trailer! 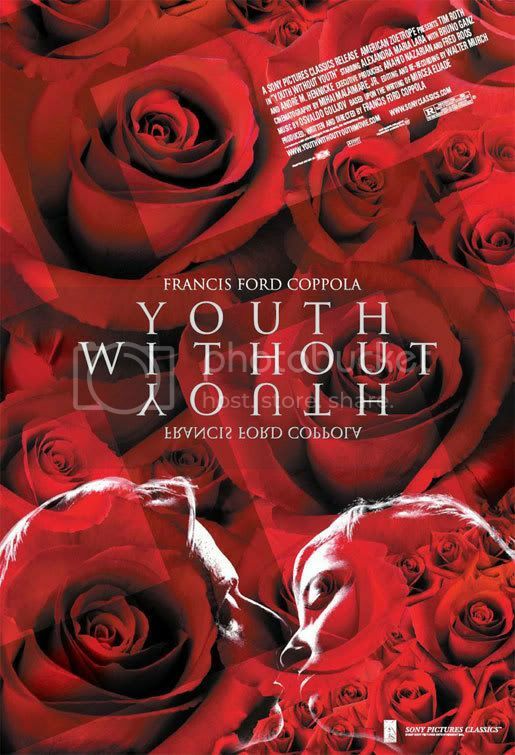 Youth Without Youth, upcoming movie by Francis For Coppola, has a new international trailer. I would be happy to find such a fountain of youth. The movie premiere was some weeks ago during a film festival in Italy.It did not create a big buzz. But judging from this trailer, I think Coppola's movie is worth watching. Youth Without Youth is based on a novel by Romanian author Mircea Eliade. The movie is directed by the great Francis Ford Coppola: so let's bet that the movie is going to be at least as great as its director ! The trailers give us more details: a man who is rejuvenating because of a cataclysmic event is tracked by government agents through the world because they want to know his secret. This movie should be released on December 14, 2007. It's never too soon for a film by Coppola !